How do you “show up” in the workplace? We all have a certain way of “showing up” in the workplace. We behave differently at work, surrounded by co-workers and managers, than we do at home, surrounded by our friends and family. You have a “natural” style of behavior that feels right for you. It’s how you prefer to operate. However, you also have an “adapted” style of behavior, which is how you tend to change your natural behavior to suit the professional environment you’re in. The more you have to adapt, the greater stress you tend to feel. When you’re working in an environment where you have to suppress who you are—or where your natural tendencies aren’t appreciated—you have a greater potential for interpersonal conflicts and performance problems. Still, a certain amount of adaptation is usually required at work, where you’re surrounded by all different kinds of people. It’s a useful tool for building relationships and dealing with the professional world in general. Unfortunately, most people don’t have the self-awareness to understand their own natural tendencies and how they’re adapting (or not adapting…or adapting ineffectively) in the workplace. As a result, they continue to struggle. DISC is conducted via an online assessment. You answer a series of simple questions and then receive a detailed report outlining a variety of key insights (outlined below). You can even share your report with your boss as a tool for facilitating growth and enhancing your relationship. Gain clarity about how you like to work and the adjustments you make on the job. Identify areas of strength that you should leverage at work and areas of weakness that you should minimize or improve. Gain eye-opening insight into how your colleagues interpret your behaviors to create an “image” of who you are. Understand your natural communication style and how you can adapt more effectively to create stronger relationships. Learn what kind of work environment (and organizational culture) best suits you. Learn what drives you and how leaders can bring out the best in you. Discover the hidden ways you may be wasting time and how to minimize them. Learn how your talents and behaviors contribute positively to the organization. As you gain understanding of your own unique style, you’ll also learn how to identify the style of others, giving you a deep appreciation and respect for differences. This will help you leverage your newfound self-awareness with others. You’ll also learn specific strategies for adapting to other people in the professional environment. This empowers you to overcome interpersonal tension and present yourself as a confident, poised professional in any circumstance. 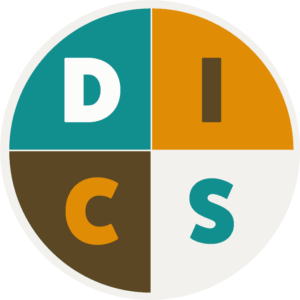 Your DISC Assessment report is incredibly comprehensive and full of useful information. Chrissy will help you dissect it and make meaning from it. 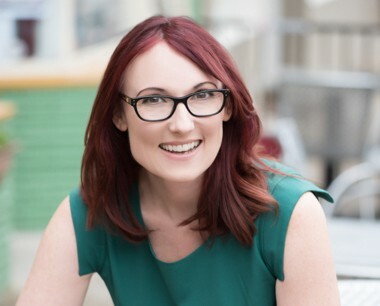 After you complete the assessment, you’ll meet with Chrissy for 1 hour (via phone) to discuss the results and how to use them moving forward in your career journey. She’ll help you leverage your newfound self-awareness and turn it into concrete actions to propel you forward. After purchase, you’ll receive an email from Chrissy within 24 hours containing the link to take your assessment online and to schedule your consult, which will take place shortly after that the assessment is complete. Don’t waste another day without this essential self-knowledge! Chrissy Scivicque is a Certified Professional Career Manager (PCM) and trained life coach. She has worked with hundreds of clients since 2009. Her approach is structured, strategic and solution-focused. Chrissy actively listens without judgement, digs deep to identify the root causes of problems, and respectfully challenges assumptions. Her style is positive and up-lifting. You will leave any session with Chrissy feeling informed and inspired.